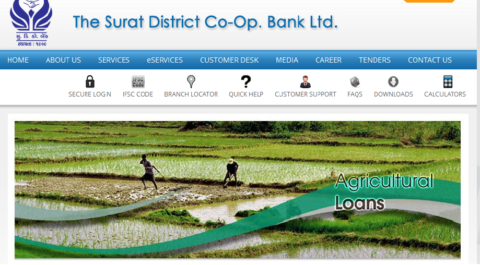 Surat District Co-Operative Bank Limited has released notification for recruitment of various Manager posts for Joint General Manager, Assistant General Manager – IT, Assistant Manager – IT (Database Administration). 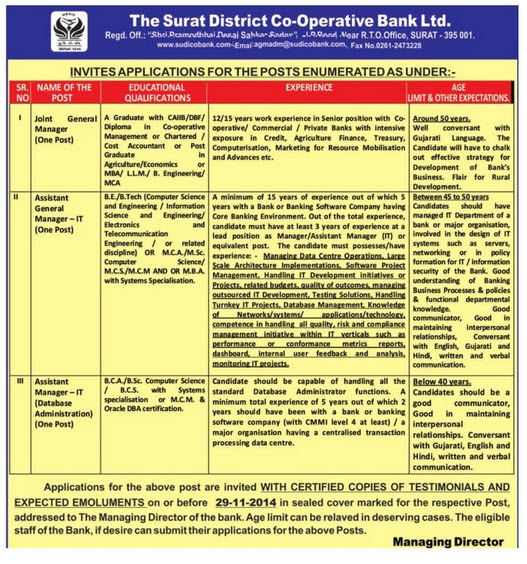 Interested and eligible candidate may be apply for this post for Surat location. Qualification : Candidates should possess Graduation with CAIIB/ Diploma in Co-operative Management or Chartered/ Cost Accountant or PG in Agri/ Economics for S.No 1, B.E/ B.Tech (CSE/ ISE/ Electronics & Telecommunication Engg) or MCA/ M.Sc/ MCS/ MCM/ MBA for S.No 2, BCA/ B.Sc (Computer Science)/ BCS with System Specialization or MCM & Oracle DBA Certification for S.No 3 with relevant experiences.